Not surprisingly, RTW states also had almost 1 percent faster construction employment growth over this period. 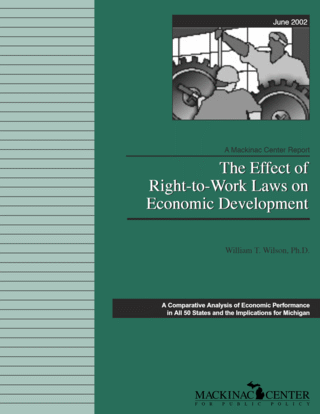 While non-RTW states had higher growth in this category during the 1980s (without Wyoming's 7.5 percent decline, RTW states would have had positive construction job growth), the RTW advantage quickly reasserted itself during the 1990s. Michigan ranked 32nd in the nation (from 1970-2000), averaging 1.9 percent annual growth in construction employment. See Chart 7.